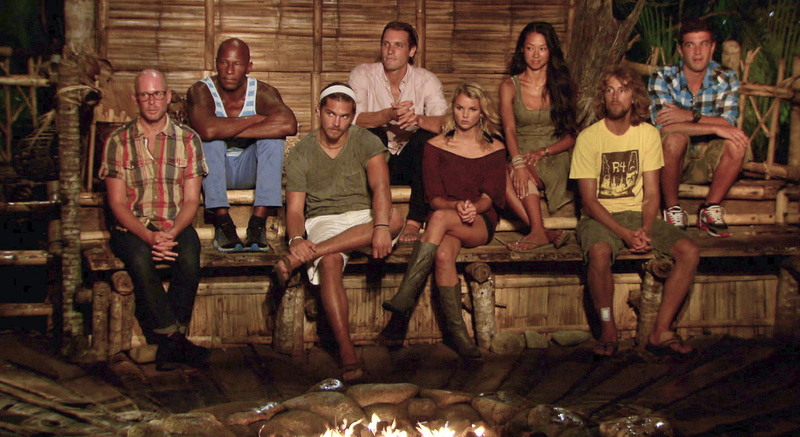 The jury in the Season 26 Finale "Last Push"
Pictured: The Jury at Tribal Council. With the title of Sole Survivor on the line and one million dollars within arm’s reach, one castaway falls victim to a heartbreaking medical emergency, on the two-hour season finale of SURVIVOR: CARAMOAN – FANS vs. FAVORITES, followed by the live one-hour reunion show hosted by Emmy Award winner Jeff Probst, Sunday, May 12 (8:00-11:00 PM, ET/PT) on the CBS Television Network. Photo: Screen Grab/CBS © 2013 CBS Broadcasting Inc. All Rights Reserved.